'Religion and politics are necessarily related', declared Ronald Reagan, while addressing an ecumenical prayer breakfast of 17,000 people in Dallas. But how are they connected? Many popular images of God - King, Lord, and Judge - are essentially political, while concepts of might, majesty, dominion, and power are used of both God and the state. 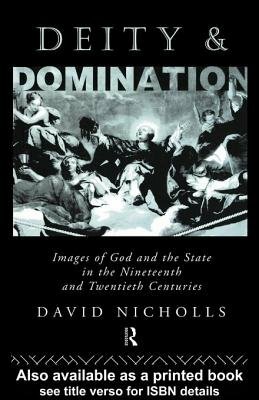 This ambitious and original work explores the relations between these images and their political context through the analogy between divine and civil government, and considers what images of God may legitimately be employed by Christians in the twentieth century. David Nicholls suggests that religious conceptions have often affected political thinking - theological rhetoric, child of political experience, may also be mother of political change. Drawing upon politics, theology, history, sociology, anthropology, and literary criticism, this important new book will be essential reading for all concerned with the relation between Christianity and politics.